Is HP about to do a Beyoncé by launching two new phones by 2014? There's a rumour circulating that HP will bust out two large-phone/small-tablets (OK, OK, "phablets") before 2013 is out. That gives the company just eight days to pull the new handsets out of the bag - and one of those days is Christmas Day. One handset is set to be a 6-inch phone while the other is a 7-incher, but the devices are apparently set to be reasonably affordable and aimed at "emerging markets" like India, China and the Philippines. No word on whether these will be Windows Phone handsets or Android ones, although HP did launch some surprise Android-running Slate7s onto US shelves earlier this month, which could well be a clue. 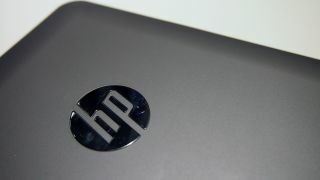 We've also heard tell of an HP Slate 6 Voice Tab for which some benchmarks leaked earlier this year. That handset is supposedly running the old-school Android 4.2 and rocking a 1GHz quad-core processor and 720p display - specs that sound about right for the rumoured pricing of these here phones. The new information comes from the aptly-named The Information, although it cites only "sources" so we can't guarantee their reliability. That end-of-2013 launch date sounds a bit optimistic to us, but hey. If Beyoncé can do it... yeah, OK, no HP probably can't.